(Center of Contemporary Art "WINZAVOD", "Gallery on Solyanka", "Gallery A3", Art space "Plum Palm" and other). 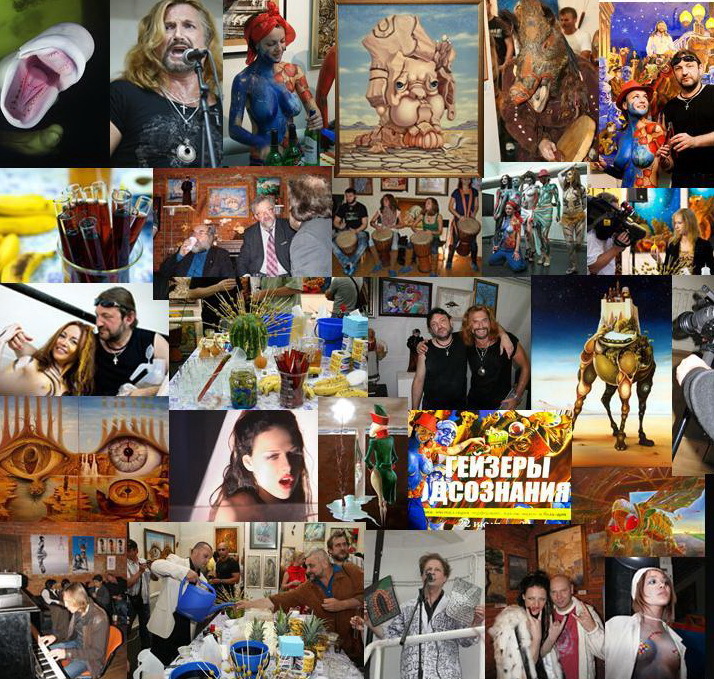 Andrei Nekrasov the Author and organizer of the known international great Art-Project, is the most outrageous and iconic artist and gallery owner of "Underground" Moscow. Andrei Nekrasov, who is also president of the "International Centre of Arts by Andrei Nekrasov", usually does not cause a long wait and amazing. And he does so not only to lovers of contemporary, non-traditional art, but also with its authentic representatives. Australia, Great Britain, New Zealand and other countries are taking part in an Art Project "Geysers of Subconsciousness". At the Art -Shows exhibited paintings, drawings, sculpture, video art, art dolls, batik, art installations and much more.